Raising littles in the big city. Food. Nature. Play. Healthy family friendly breakfast and brunch recipes. These easy and healthy chocolate chip banana muffins are a perfect after-school snack for little ones. These days we’ve been spending countless hours hanging out at the park. To keep my kids fuelled I’ve been making these easy breezy whole wheat banana muffins. They’re healthy, perfect to grab and go, great for the lunch box or as an after-school snack. If you have busy little kids, you need these in your life. These mini muffins are perfect for little kids. They are 100% whole grain and sweetened with banana, applesauce, maple syrup and just 2 chocolate chips. Just enough sweetness to satisfy while keeping them healthy. Perfect for the lunch box or as an after-school snack. Preheat oven to 350F. 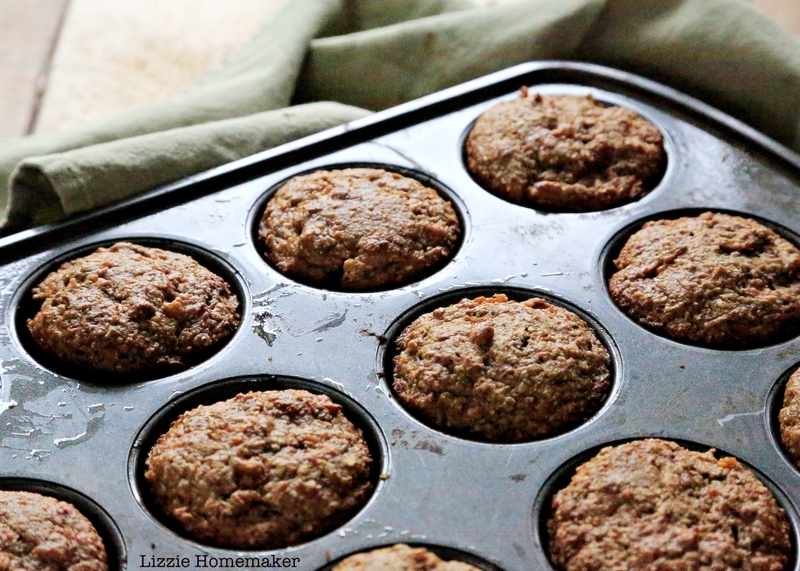 Grease mini muffin tin, or line with baking cups. In a large bowl combine flour, cinnamon, baking soda, baking powder, and salt. In medium bowl combine banana, eggs, oil, applesauce, maple syrup, and vanilla. Add wet ingredients to flour mixture and stir until just combined. Spoon batter into prepared muffin tin. Place 2 chocolate chips on top of each mini muffin. Bake for 20 minutes or until a toothpick comes out clean. Allow to cool. These tasty cherry scones are very easy to put together and can be prepped in advance. Freshly baked scones and a cup of tea are a perfect combination – especially on a cold rainy day. 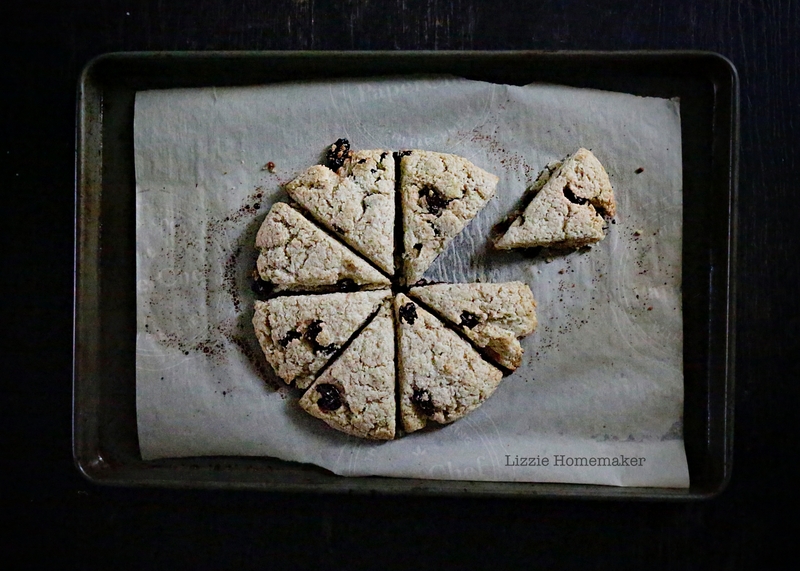 I love these cherry and lime scones; a touch of sweet, tart and tangy. In a food processor, combine flours, sugar, baking powder and salt. Add butter and pulse until butter forms pea-sized pieces. Add buttermilk or kefir and lime zest. Process until just moistened. Flatten dough into an 8 inch disc. Sprinkle with sugar, if desired. Cut into 8 wedges, keeping the disc intact. Bake for 20 minutes until golden brown. Allow to cool. Scones are best eaten on the day they are baked. To make-ahead, simply prep the scones a day in advance, pop them in the fridge (covered in plastic wrap), and bake the day of. If you don’t have a food processor simply cut the butter into the dry ingredients using a pastry blender, or forks and/or knives. This is my family’s go-to granola. I try to ensure that we always have a batch in the cupboard. We love it on Greek yogurt and chia pudding. It’s also a satisfying snack when you’re standing there in the kitchen and you need a delicious handful of something immediately. My family is full of chocoholics – including me. We eat chocolate several times a week and I don’t feel guilty about it. To me – it’s all about moderation. We’re a foodie family and I believe enjoying a meal is one of those simple pleasures that should be a part of one’s daily routine. We rarely eat processed food and, excluding chocolate, we don’t eat a lot of refined sugar and white flour. This granola is whole-grain, packed with fibre, and much healthier than most of the granolas on the grocery store shelves. If you have never tried raw buckwheat groats – you should. They are lovely nutty crunchy little things that are full of protein, fibre and iron. 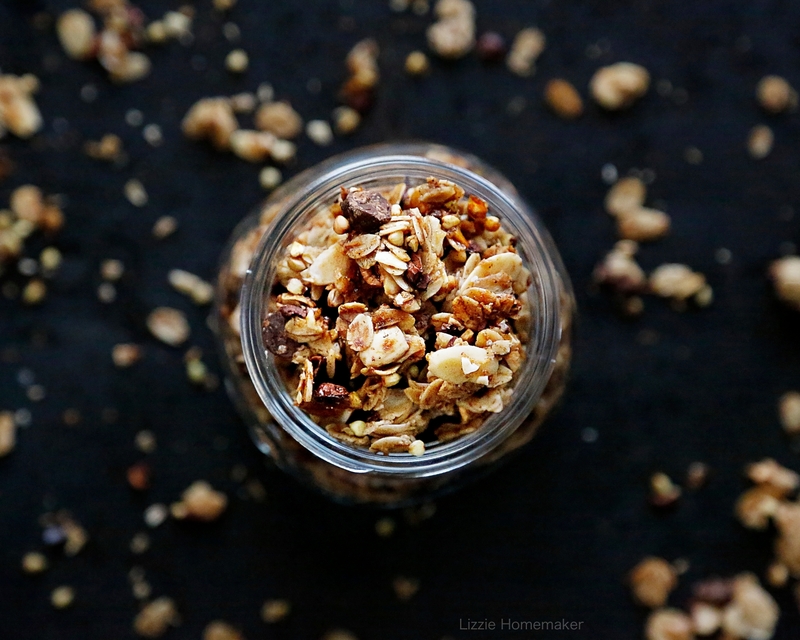 This granola is absolutely delicious, easy to make, and keeps for weeks. Preheat oven to 300F and line a sheet pan with parchment paper. In a medium bowl combine dry ingredients. In a small bowl combine wet ingredients, then add to dry ingredients. Spread the mixture out on the prepared baking sheet. Bake for 20 minutes, stirring halfway through. 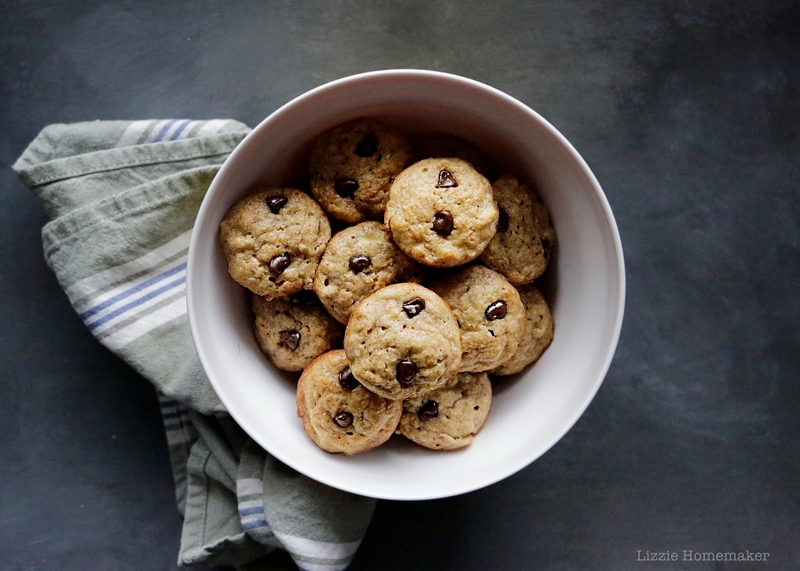 The chocolate chips can easily be swapped out with dried fruit. These muffins work well for breakfast, lunch, or snack time. Healthy comfort food that you can grab and go. Apples and cinnamon are both kid favourites in my house. Lately my 6-year-old hasn’t been eating her veggies at lunch – and it drives me crazy. So, I decided I needed to load some veg into her after-school snack. These muffins are packed with sweet potato, chunks of apple and fragrant cinnamon – and they’re whole grain, too. An ideal treat to devour on a cold winter’s afternoon. These whole-grain muffins are delicious - and they're loaded with veg and fibre. Perfect for the lunch box or after-school snack. Preheat oven to 350F. Grease a muffin tin, or line with baking cups. In a large bowl combine dry ingredients. In medium bowl combine wet ingredients, then add to dry ingredients and mix until just moistened. Bake for 25 minutes or until a toothpick comes out clean. Allow to cool. Prick a sweet potato several times with a fork or pairing knife. Bake in 350F oven for about an hour. Allow to cool, peel, then mash. I usually do this step in advance. I throw a sweet potato into the oven while I’m baking something else, so the mash ready to go. A large sweet potato yields about 2 cups when mashed. Store muffins in an air-tight container for up to two days. 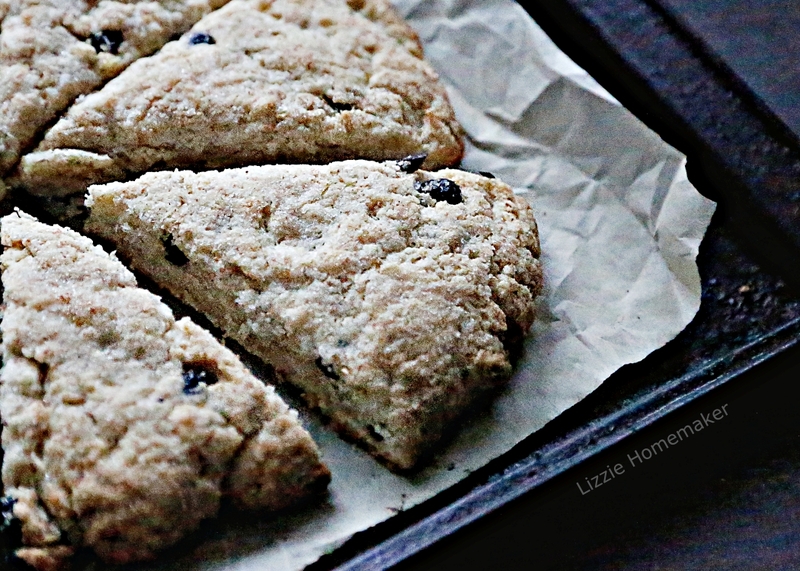 These easy blueberry coconut milk scones are delicious and can be prepped ahead of time. My eldest daughter is lactose-intolerant. Initially we avoided all dairy but we’ve recently found that there are a couple of dairy foods that she can handle. Butter is one of them. I’ve tried making scones without butter but the alternatives have never been as good. This recipe swaps out the traditional milk or cream (which are no-gos for her) with coconut milk. They are absolutely delicious and it means my lactose-intolerant kid can happily devour these goodies with her sisters. Scones are best eaten on the day they are baked. To make-ahead, prep the dough in advance and shape it into a disk, then pop it in the fridge overnight and bake the day of. In a food processor, combine flours, sugar and baking powder. Add coconut milk and lemon zest. Process until just moistened. Mix in dried blueberries and roll out into an 8 inch disc. Sprinkle with sugar, if desired. Kefir chia pudding garnished with blueberries and homemade kiwiberry jam. This easy breakfast is a nutritional powerhouse. It’s also a great weekday make-ahead option which can be portioned out over a couple days. Kefir is a fermented milk that’s kind of like an unsweetened yogurt drink. It’s thinner that yogurt and thicker than milk. It’s made with milk, bacterial cultures, kefir grains and kefir yeast. It contains more probiotics that yogurt and has a broader range of nutrients. It’s great for your digestive health and your immune system. Chia seeds are full of essential fatty-acids, fibre, omegas, anti-oxidants, protein, and vitamins and minerals including calcium and iron, which support good heart, brain and bone health. They stabilize blood sugar and fight belly fat and inflammation. If you like yogurt you should give this recipe a try. I love it and so do the kids! This recipe can be made advance and eaten over a couple of days. 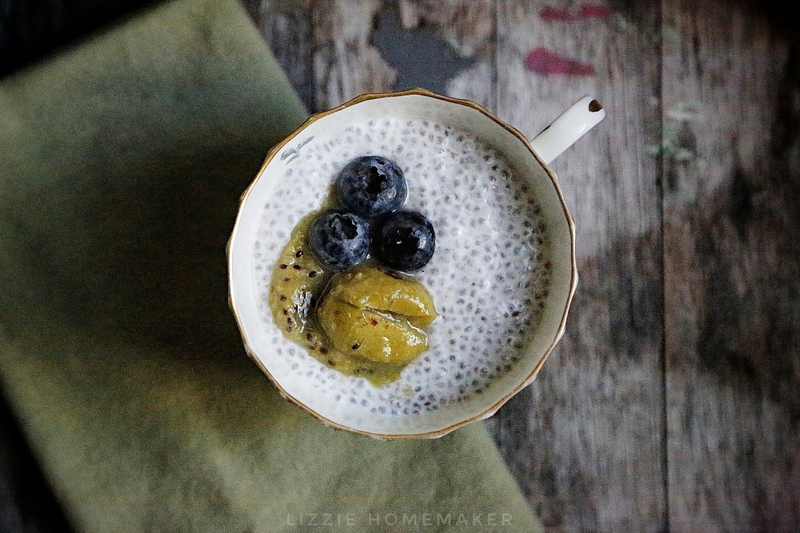 Whisk together kefir and chia seeds. Allow to stand for 15 minutes, add salt, vanilla and maple syrup and whisk again. Refrigerate for an hour or more so the chia seeds plump up. I often prepare it the night before. The pudding can end up a little too thick or thin if you don’t measure properly. To correct this simply add a little more kefir to thin it out or a scant amount of chia seeds to thicken. I often make this frittata on the weekend. It’s so healthy and easy to put together. This is my go-to frittata. It’s easy, packed with healthy veg and protein, and I love that I can clean up my prep mess and set the table in the time in takes for the frittata to bake. 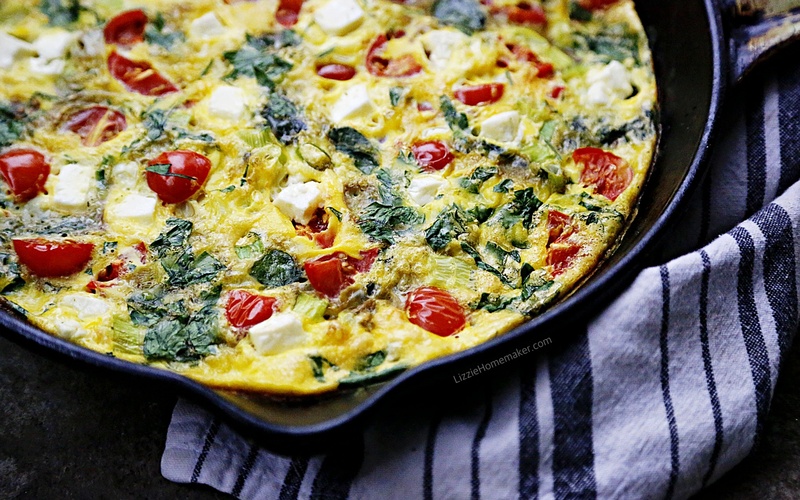 This frittata can also be enjoyed as a light lunch or dinner when paired with a salad. Heat olive oil or garlic confit over medium heat in cast iron or non-stick pan. Add handfuls of spinach and toss as it wilts. Continue adding and tossing spinach until the entire package has been added. Add herbs and/or green onions and toss. Pour eggs over spinach then top with the tomatoes, feta, fresh cracked pepper and chili flakes (if using), making sure to distribute evenly. Transfer frittata to oven and bake for 20 minutes. To release the frittata run a spatula or knife around the edge of the pan. You can cut it into wedges in the pan and serve it family style (with one less dish to clean). Or transfer the frittata to a plate or cutting board and cut it into wedges for a nicer presentation. I love eating this frittata with chipotle hot sauce or a hot pepper relish. 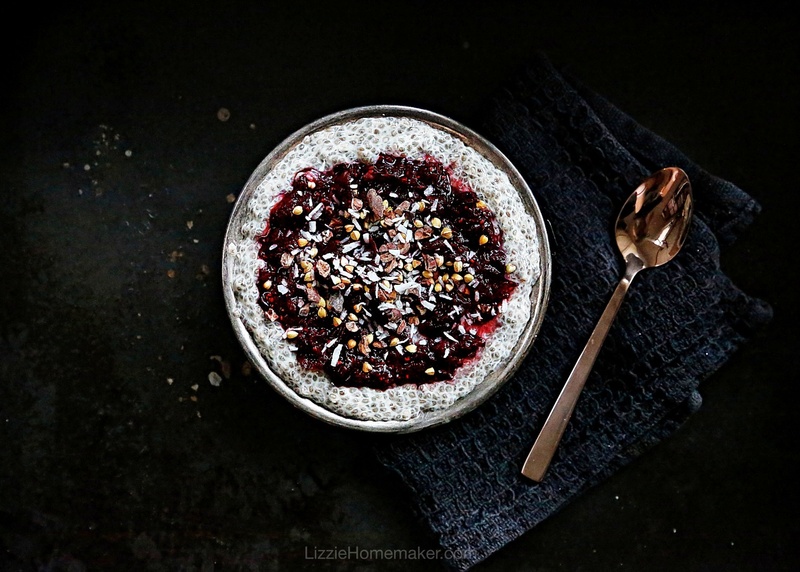 Chia pudding topped with cherry chia jam, buckwheat groats, cacao nibs and coconut flakes. Chia pudding has to be the easiest make-ahead breakfast and it’s incredibly versatile. It’s also very healthy as chia seeds pack a big punch. These little gems are full of essential fatty-acids, fibre, omegas, anti-oxidants, protein, and vitamins and minerals which support good heart, brain and bone health. They also stabilize blood sugar and fight belly fat and inflammation. It’s no wonder this superfood is becoming so popular. If you find it hard to manage breakfast before work, chia pudding is a great option to have ready to simply grab and go. My husband often rushes off to work in the morning and loves to bring this to eat at his desk. At home I take the time to turn my chia pudding into a pretty breakfast bowl with an assortment of fresh fruits or chia jam and sprinklings. It’s a lovely way to start my day. The most basic version is simply 1 cup of milk to 1/4 cup chia seeds. For vegan options you can use nut milks such as almond or cashew, or soy milk if you wish to go nut-free. Give the mixture a stir after 15 minutes or so, otherwise the chia can clump together which yields an undesirable texture. This recipe can easily be doubled or tripled and can be made advance and eaten over a couple of days. Whisk together your choice of milk with vanilla and chia seeds. Allow to stand for 15 minutes then whisk again. Refrigerate for several hours or overnight while the chia seeds plump up. Add sweetener, if desired, and any toppings of your choice. The pudding can end up a little too thick or thin if you don’t measure properly. To correct this simply add a little more milk to thin it out or a scant amount of chia seeds to thicken. This cherry chia jam recipe is healthy and delicious. It contains no added sweetener of any kind so feel free to eat it by the spoonful. This cherry chia jam was a huge hit with the littles. They ate the entire jar so next time I will definitely have to make a double batch. Chia jam is so easy to make and it’s incredibly healthy. I make some every week with whatever fruit happens to be in season. And when nothing local is in season I often use frozen fruit instead. Dark cherry is my absolute favourite in the winter. It’s perfect with warm oatmeal on a cold winter’s day. This fresh jam can be put together in less than 10 minutes. Then you simply pop it in the fridge and wait for it to thicken. Add cherries and 1 tbsp of water to a small saucepan and cook over moderate heat, stirring occasionally, for 3-5 minutes until the fruit starts to break down. Remove from heat and mash. Add a squeeze of lemon and chia seeds. Refrigerate for several hours while the chia seeds plump up and thicken the jam. This recipe can easily be doubled. Store in fridge for 4 or 5 days or freeze. Canning is not recommended. These chocolate chip granola bars are easily one of my family’s all-time favourite recipes. When I started making these chocolate chip granola bars in the fall they quickly became a family favourite that was put into heavy rotation. I whip up a batch every week. They are easy to make, tasty, and infinitely cheaper and healthier than store bought. They are nut-free and sesame-free, making them safe to bring to school and community spaces with allergy-friendly food policies. They also keep well. I pop them into my daughter’s lunch box, and pack them for snacks at the park and for after-school activities throughout the week. My husband also takes them to work to munch on when that afternoon slump hits. The ingredients are all from the pantry. In a medium bowl or large measuring cup combine wet ingredients. Drizzle wet ingredients over dry ingredients and THROUGHLY combine. Spread the mixture on the prepared baking sheet and PRESS DOWN FIRMLY to shape it into a rectangle (about 10×11 inches). If you don’t press it together well and it’s loose then you’ll end up with granola instead of granola bars. Bake for 25-35 minutes, or until the top starts to turn golden. Allow to cool – for at least 15 minutes, then cut into bars (thirds lengthwise, then eight across). Resist the temptation to cut into these bars immediately – if they haven’t cooled you’ll end up with a big ol’ mess of granola instead of granola bars. These granola bars can be stored in a container for a couple weeks (if they last that long).